The twenty-first century CE/fifteenth century AH is an exciting time for the advancement of female scholarship as part of a larger project of reviving Islam’s intellectual and spiritual heritage, reviving our communal institutions, and empowering individual adherents of the faith to rise to the demands of living a life of worship and restraint in a culture increasingly marked by a rejection of divine guidance in the pursuit of physical comfort and instant gratification.  My experiences working in and visiting Muslim communities across the United States attest to the need to support, develop, and train a new generation of religious leaders that reflect the changing demographics of the American Muslim Ummah, a community that is a microcosm of the global Muslim community. 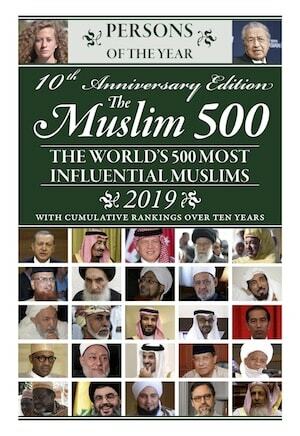 Nowhere is the need for representative, responsive leadership more evident than in the growing number of institutions and seminaries established to serve the burgeoning demand for Islamic higher educational opportunities in the United States. What is particularly telling is the large number of women who enroll in these institutions. For example, at the institution where I teach, female students typically outnumber their male counterparts by four to one. In addition to being motivated by the desire to receive a firm grounding in the foundational sciences of the religion, these female students of sacred knowledge express aspirations of participating in the public life of the community in a meaningful way. Moreover, the graduates of these programs often go on to enroll in secular institutions, where they hope to earn a professional degree or otherwise receive training for a future career or vocation. The consensus among these graduates is that their experience in a more traditional setting of Islamic learning will prepare them for future success in the world that awaits them beyond the walls of the college, ma`had, or madrasa. Administrators and teachers at these institutions shoulder an immense amana, or trust. Not only do these eager students of knowledge enroll in these programs of study confident in the ability of the Shaykh (or Ustadha) to prepare them for the spiritual struggles and practical exigencies that shape day-to-day life as a minority in the West, they also hope to alter the often reductionist discourse surrounding the place and prospects of Muslims in the United States, and push back against a binary narrative that often casts Muslims as a fifth column, so wholly other that they simply cannot reconcile their identity as Americans AND Muslims. And while there are many arenas in which debates about integration and alienation, participation and insularity, joining and abstaining play out, no arena is perhaps more contested than the arena of Islamic religious law and its intersection with issues of gender, representation, and larger questions of the role of religious authority in North American Muslim communities. In fact, one of the central challenges facing Muslim communities in North America is how to define, interpret, and apply Islamic religious law, the Shari’ah, within the multiple minority contexts in which Muslims are situated. American Muslims, hearkening back to W.E.B. Du Bois’s insights in the Souls of Black Folk, operate within a sort of triple consciousness. They are religious minorities and often racial and/or ethnic minorities. Muslim women, additionally, take on further minority status because of the way many community institutions are structured where leadership and religious authority is often the exclusive domain of men. Furthermore, echoing Du Bois’s argument that minorities’ self-image is often shaped by how others view them, the Muslim community is acutely aware of negative public perceptions of their way of life. Nowhere is this triple consciousness more evident than in the discourse surrounding the Shari’ah. Discussion of the place of the Shari’ah in Muslim life is constrained by a political climate in which over two dozen state legislatures have attempted to pass laws banning the use of Shari’ah law in the U.S. legal system. In addition to external pressures placed on the community, internally the American Muslim ummah is fractured along lines of race, class, and gender. For example, when I taught a class on Islamic ritual law at a predominantly African-American masjid in a major urban center, I sensed this triple consciousness among some of the students. One of the most challenging and thought-provoking questions came from a woman who wanted to know how she—as a Muslim in a non-Muslim society, an African-American, and a woman—could relate to a body of law written and interpreted by an Arab male (and his male counterparts among succeeding generations of scholars) who lived in a Muslim-majority society centuries ago. In my response to her question, I urged her to refrain from seeing Shari’ah law as a wholly man-made construct. Certainly, scholars of Islamic law were influenced by the prevailing gender attitudes of their time. However, that limitation should not dissuade Muslim women in twenty-first-century North America from benefiting from the universal principles that undergird sacred law. Just as God chose a human interlocutor to convey His revelation, so too must human interpreters of the Shari’ah undertake the immense responsibility of discerning the divine will. There is no reason why women should be excluded from (or exclude themselves from) this process. However, this point begs the question: How should women participate in the process of articulating an approach to Islamic religious law in a way that recognizes and responds to their multiple contexts? Is it possible to transcend the limitations of identity politics when engaging with the Shari’ah? Whether practicing Islam on an individual level or reviving its institutional manifestations on a community level, how can we best address the impact of this triple consciousness? And how can we structure our institutions in such a way that they meet these very real challenges? There is also the question of to what extent it is desirable to encourage women to transcend the realities of this triple consciousness. For example, it is women’s own awareness of certain cultural and textual circumscriptions of women’s religious authority that often compel them to seek avenues for spiritual and educational fulfillment outside of conventional madrasa or Darul Ulum settings. When I work with female students of knowledge and they pose questions about how to reconcile their lived experiences as Muslim women (and, often, ethnic minorities) in a Western context, I often encourage them to use these very experiences as way to appreciate the range of interpretive possibilities that characterize the dynamic interplay between the Shari’ah, its human interlocutors, and the end result: a fiqh, or jurisprudence, that is both the outcome of centuries of specialized scholarship, but is also the shared intellectual heritage of every Muslim, male and female. It is my contention that the (re-)entrance of women into the domain of the traditional Islamic sciences as students, teachers, and future religious leaders only serves to extend and enrich a vibrant intellectual heritage of which Muslims should be rightly proud. Our communities and institutions will either become stagnant or moribund, or they will flourish and thrive. Women play a critical role in this evolution as their contemporary efforts to engage with Islamic law and questions of religious authority and representation connect them back to previous generations of God-fearing, devout women (and men) who also engaged with sacred law from within their own particular contexts. This engagement is part and parcel of our larger purpose in life: to seek out the paths of guidance and walk them with intentionality, sincerity, and hearts yearning towards that which will help us transcend our contingent realities for that which is more sublime and liberative. Perhaps there is some clue to the way forward in the word “Shari’ah” itself, which, linguistically, refers to a source of life-giving water. Shari’ah is also the path that is taken to that water. As women, we must use the faculties with which God has honored us as daughters of Adam and Eve to discern this path and drink of this clear, pure water. God says in the Qur’an, “We have honoured the Children of Adam and carried them on land and sea, and provided them with good things, and preferred them greatly over many of those We created.” Ultimately, every child of Adam has a responsibility to seek the guidance contained within the divine text, engage with the interlocutors of the Qur’an and Sunna, and tread her own path forward. It is my hope that our institutions of higher learning will rise to the challenge of facilitating the path forward for current and future generations of women and men seeking the countenance of God. Zaynab Ansari spent a decade sitting with scholars in seminaries in the Middle East. Upon her return to the United States, she earned degrees in history and Middle Eastern Studies from Georgia State University. Since 2014, Zaynab Ansari has served as a scholar-in-residence for Tayseer Foundation, offering enrichment courses and halaqahs to women and youth in the Muslim Community of Knoxville, and working on interfaith dialogue. Ustadha Zaynab has previously written for SunniPath, Azizah Magazine, SeekersHub. She has also served as the coordinator of oral histories for the After Malcolm Project, a digital archive of African-American Muslim history. 3.W.E.B. Du Bois, The Souls of Black Folk (New York: Dover Publications, 1994). The book was originally published in 1903. Although over a century has transpired since Du Bois penned his classic work, his observations remain as relevant today as ever. 4. Julie Macfarlane, “Shari’a Law: Coming to a Courthouse Near You?” http://www.ispu.org/pdfs/ispu%20report_marriage%20i_macfarlane_web.pdf. 5. See Jamillah Karim’s excellent book American Muslim Women: Negotiating Race, Class, and Gender Within the Ummah (New York: New York University Press, 2008). 6. Faraz Rabbani, “What is the Shariah? A Path to God, a Path to Good,” http://seekersguidance.org/blog/2011/03/what-is-the-shariah-a-path-to-god-a-path-to-good-faraz-rabbani/. 7. A.J. Arberry, The Koran Interpreted, 17:70, http://arthursclassicnovels.com/koran/koran-arberry10.html.